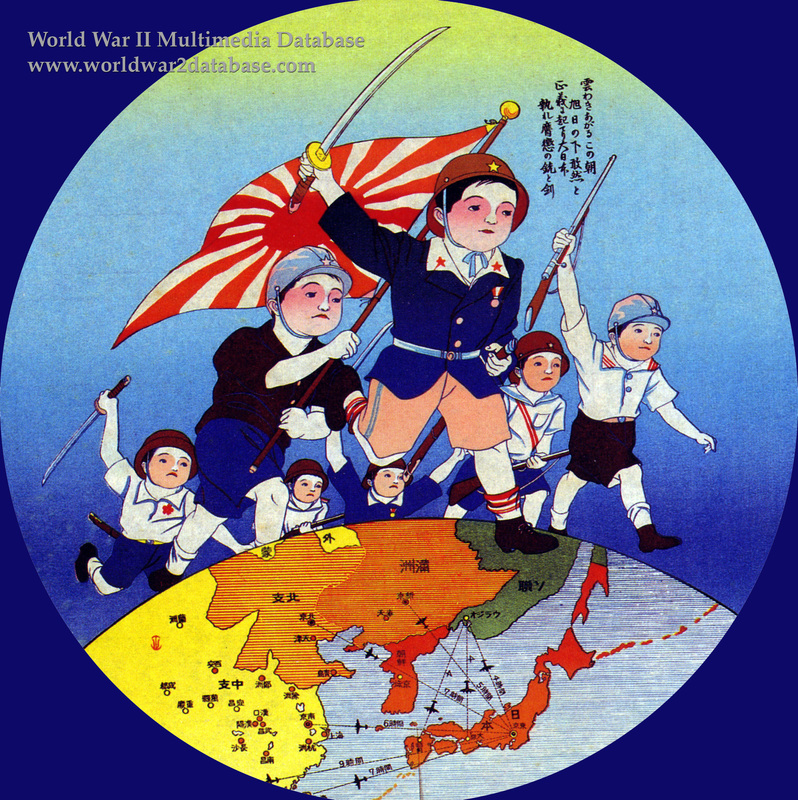 Postcard depicting Japanese children on the march over Asia. The militarists in charge of the government began heavy indoctrination of youth in the 1930s, requiring sacrificial pledges to the state, and creating elitist education practices that infused state-sponsored Shintoism with heavy doses of nationalist rhetoric. Military personnel were placed in schools to monitor education and purge western influences. The children in this view are seen carrying the Imperial Japanese Navy ensign and armed with rifles and katana (swords), these children exemplify the right of Japan to hold dominion over Asia. Note the ranges to and from Japan by air, indicating the growing power of aircraft in warfare.